Unlike many other people who spent their christmas on a drinking spree, ''mwaka huu'' hit maker Jaguar decided to spend his in a more fascinating way. The award winning singer visited his former Primary school headteacher, Mr. Gathigo, who took him back to school after his mum died. 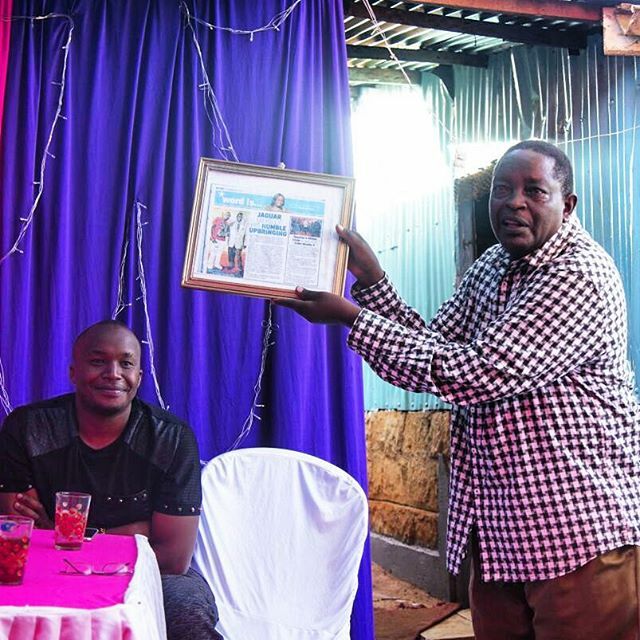 Jaguar, who could not hide his joy, later took to social media and shared the good news with his fans.